1. The UN Human Rights Council elected Hezbollah supporter Jean Ziegler, founder and recipient of the Muammar Qaddafi Human Rights Prize, as a top advisor. 2. The UN General Assembly adopted 21 condemnatory resolutions against Israel, compared to 4 on the rest of the world combined. 3. The same UN General Assembly elected China, Cuba, Russia, and Saudi Arabia to the UN Human Rights Council. The dictatorships will take their new seats on January 1, 2014. 5. The UN Special Committee on Decolonization, charged with upholding fundamental human rights and opposing the subjugation of peoples, elected the murderous Syrian regime to a senior post. 6. The UN Conference on Disarmament in May 2013 made Iran its president. 7. The UN Economic and Social Council, which oversees the UN women’s rights commission, elected genocidal Sudan as its vice-president. 8. The UN Human Rights Council elected slave-holding Mauritania to be its vice-president. 9. The UN chose Zimbabwe, a regime that systematically violates human rights, to host its world tourism summit. 10. UNESCO, which condemned no other country but Israel, and which was silent as Hamas bulldozed a world heritage site to make a terrorist training camp, allowed Syria to sit as a judge on UNESCO’s human rights committee. 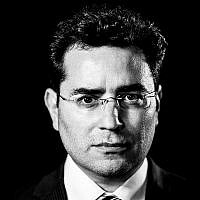 Hillel Neuer is executive director of UN Watch, a non-governmental human rights organization in Geneva, Switzerland. An international lawyer, Neuer has been described by the Tribune de Genève as a human rights activist who is “feared and dreaded” by the world’s dictatorships. Israel's Ma’ariv newspaper ranked Neuer as one of the “Top 100 Most Influential Jewish People in the World.” Hillel Neuer is a renowned speaker who has published widely, testified before the United Nations and the U.S. Congress, and appeared on CNN, BBC, and Al Jazeera. On September 14, 2016, the City of Chicago adopted a resolution declaring “Hillel Neuer Day” in recognition of his work as “one of the world’s foremost human rights advocates.” In June 2018, McGill University awarded Neuer with an honorary Doctor of Laws degree, citing his work as “an innovator” in “creating global platforms for courageous dissidents and champions of human rights from around the world,” and for being “a passionate advocate for human rights, fighting tirelessly against discrimination, torture, and injustice."